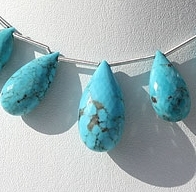 Enjoy ultimate serenity and happiness with healing properties of genuine and pure sleeping beauty turquoise flat pear briolette gemstone beads. 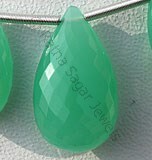 We, at Ratna Sagar Jewels, manufacture and supply world class precious and semi-precious gemstones to customers across the globe. 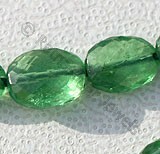 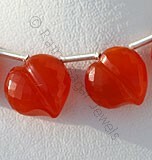 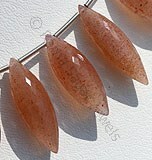 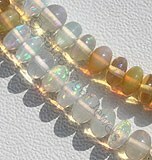 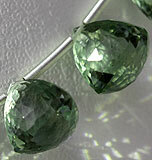 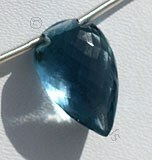 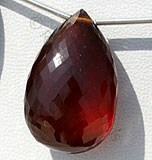 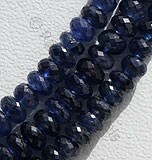 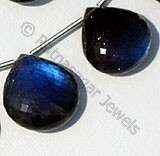 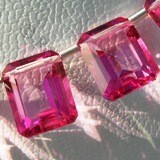 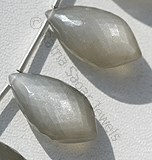 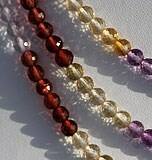 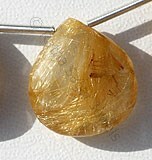 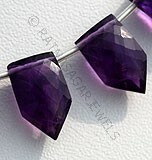 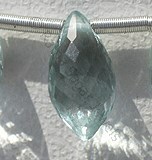 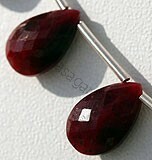 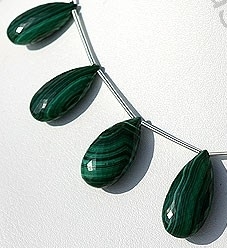 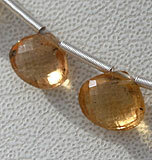 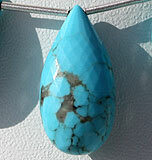 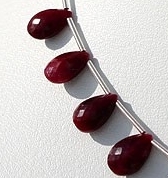 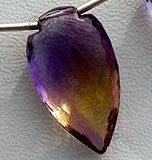 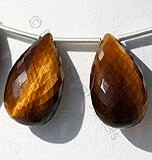 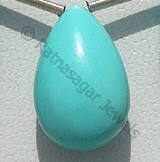 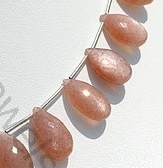 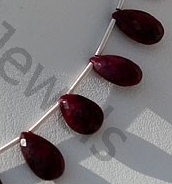 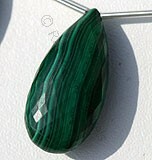 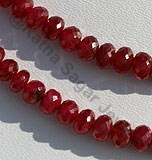 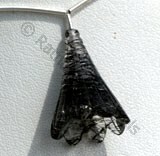 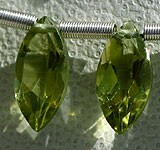 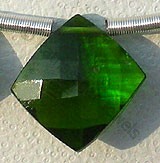 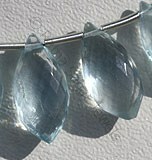 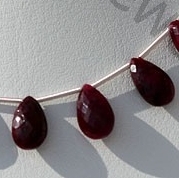 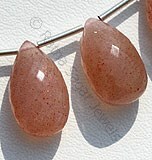 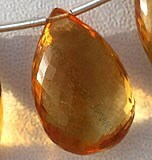 Besides, we even sell exclusive gemstones at wholesale prices. 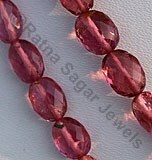 All our gemstones possess great sheen. 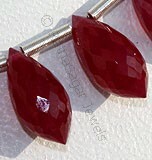 Our team of highly skilled artisans uses latest stone cutting and polishing technology to create and design radiant flat pear briolette shaped beads. 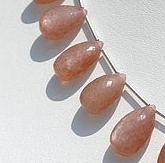 You can browse through our exclusive collection of micro cut and micro flower cut Natural Tiger Eye Gemstone Beads, Natural Malachite Gemstone, Natural Pink Moonstone, Natural Amazonite Gemstone and Natural Yellow Opal Gemstone Beads in different sizes and colors. 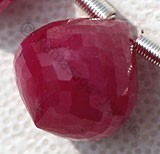 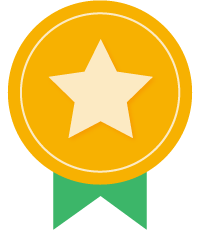 For further information on gemstone origin and weight, you can speak to our online representatives. 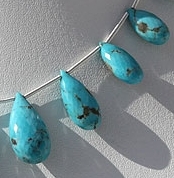 Natural Sleeping Beauty Turquoise is an non-treated blue green mineral, possess property of opaque and are available in blue color with natural white-black veins in micro flower cut, Heart Shape. 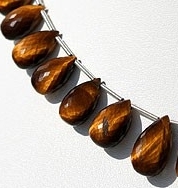 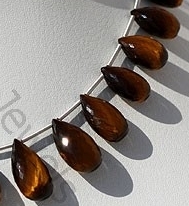 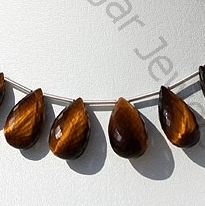 Natural Tiger Eye Gemstone Beads possess property of opaque, silky luster and are available in yellow-golden brown stripes with micro flower cut, Flat Pear Briolette Shape. 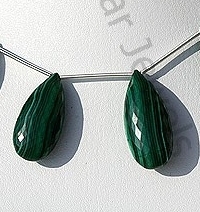 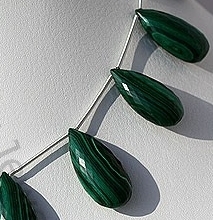 Natural Malachite Gemstone possess property of opaque and are available in deep green color with parallel bands and concentric rings in micro flower cut, Flat Pear Shape. 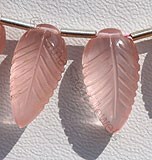 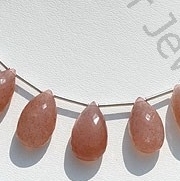 Natural Pink Moonstone possess property of translucent and are available in Tea Rose-Pink Colour with silver power in Micro flower Cut, Flat Pear Briolette shape.